Two volumes. The accounts of Doyle's two American tours investigating and speaking on matters of Spiritualism. Illustrated with black and white photographs. 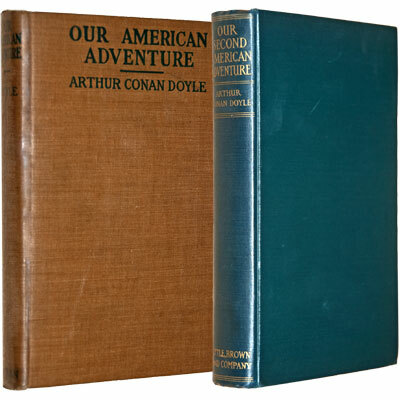 From the brilliant mind of Arthur Conan Doyle comes a a classic tale of adventure and exploration. The first in the Challenger novel series, join heroes Edward Malon and Professor Challenger as they travel to a Lost World in the Amazon forest where dinosaurs, Pterodactyls, Cave Men, and other prehistoric creatures are found to be co-existing, cut off from the rest of the world. Illustrated with eight lithographic plates, including a photographic frontispiece of members of the expedition, featuring Doyle wearing a fake beard as Professor Challenger. Here we present a rare original programme from that show which only ran for two months, with H. A. Saintsbury playing Sherlock Holmes and a very large rock boa which rather stole the show playing the part of the serpent. The play was transferred to the Globe on August 8th of 1910. 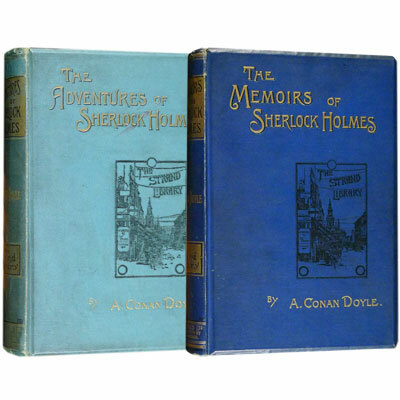 In near fine condition and enclosed in separate magnificent colour art-nouveau covers. 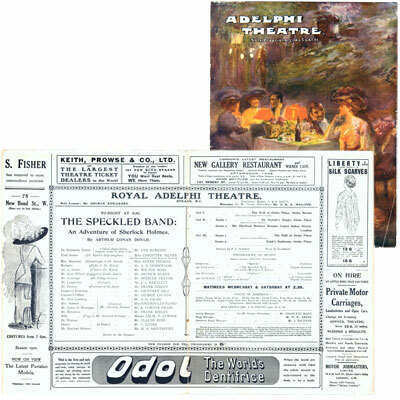 ‘[Doyle] took a six-month lease on the Adelphi Theatre so that The House of Temperley [based on his novel ‘Rodney Stone’] might be produced. The death of the King and a serious slump in audience attendance, coupled with the subject which was not thought suitable for women, meant that the run was short. 'When I saw the course that things were taking I shut myself up and devoted my whole mind to making a sensational Sherlock Holmes drama. I wrote it in a week and called it ‘The Speckled Band’ after the short story of that name. I do not think that I exaggerate if I say that within a fortnight of the one play shutting down I had a company working upon the rehearsals of a second one, which had been written in the interval' (Memories and Adventures, p. 101). 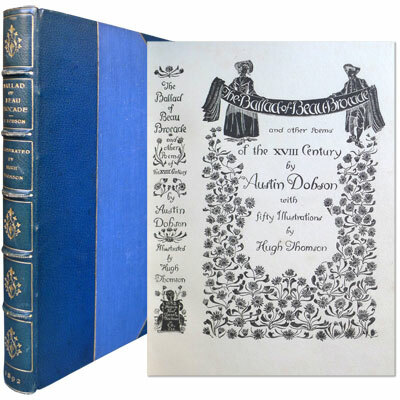 The new play was a great success.’ – Green and Gibson, A Bibliography of A Conan Doyle.